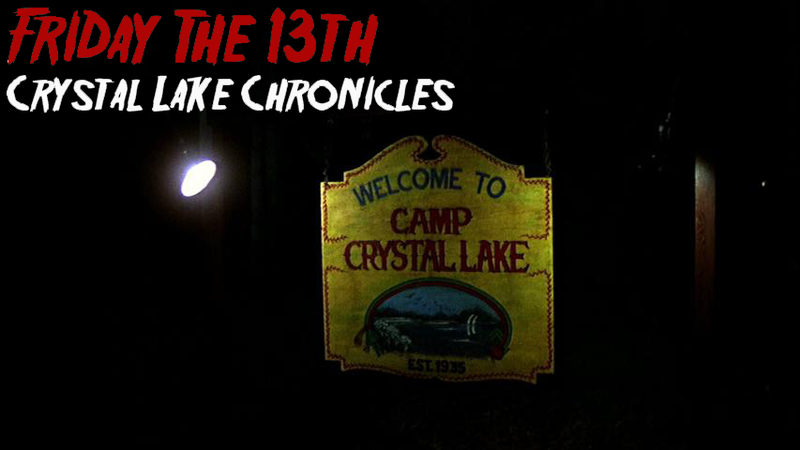 Last year, we brought you the first news that the new series, tentatively titled Friday the 13th: Crystal Lake Chronicles was in the works with many fans still a bit skeptical if it was ever truly going to happen. Well, those negative thoughts we squashed this past April when it was officially announced that Sean Cunningham's Crystal Lake Entertainment, Robert Barsamian's Horror Inc., and a slew of other production entities were gearing up for production of a brand new weekly, hour long television show set at Crystal Lake and starring our favorite psycho Jason Voorhees. Not much else was offered up in regards to plot or what the story arc would be, except for the fact that we were informed that there would be flash backs to Mrs. Voorhees and Jason prior to present day storylines. (Unfortunately, we had to pull that story from the website). So, where does the show stand right now? Well, Bloody Disgusting received some details from Sean Cunningham recently. Although, the answers are mostly vague due to the secretive nature of the project, some of his responses offer the fans come encouraging sentiments. Sean offers his comments on a number of topics, so here we go. Will the show take place in Crystal Lake and how prevalent will Jason be within the new television series? "I can say the show does take place in Crystal Lake and Jason will most certainly let his presence be known. Jason Voorhees will be an integral part of the series and he will definitely be ‘in character [laughs]. As we wrestle with the passage of time a new issue became how did Jason age? Did he age at all or is he the same as he was back in the day? Fortunately our special effects team led by Bill Basso, Jordu Schell and Roy Knyrim are on the case. Their work is amazing and the end result is both disturbing and fitting with the story we’re hoping to tell. We will be releasing more information around Comic-Con." Is Tommy Jarvis part of the plans of the show, and will the new episodes tie in with the films? How much will the new television series be censored and how much will it push the boundaries of network television? So there you have small details on the show, but with some very encouraging information. This could be the type of show that gives all varying types of fans a little bit of everything they hoped to see in new films, but scaled back into an episodic nature that should satisfy everyone. Look for more news on this epic and unfolding project to come out as we near San Diego Comic Con this July!